Conferences, Halloween and then we run straight into Thanksgiving. Before we know it Christmas will be here! 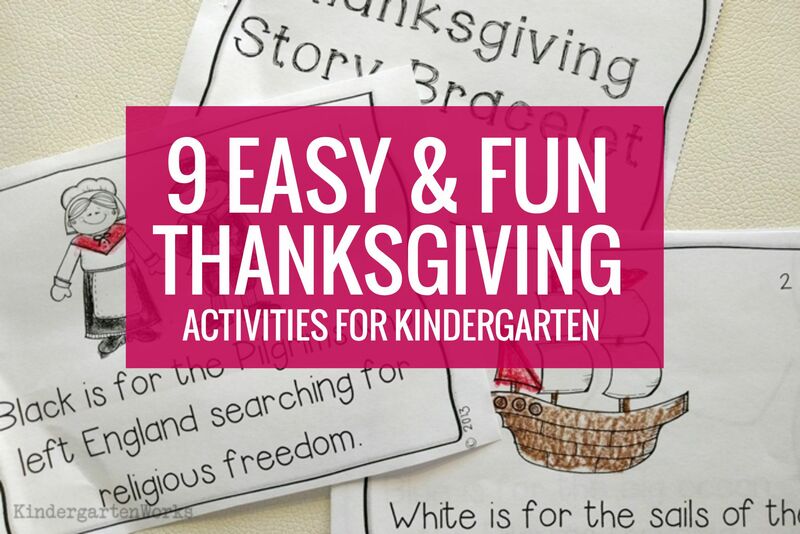 Make going from holiday to Holiday easier with these fun Thanksgiving activities for kindergarten. 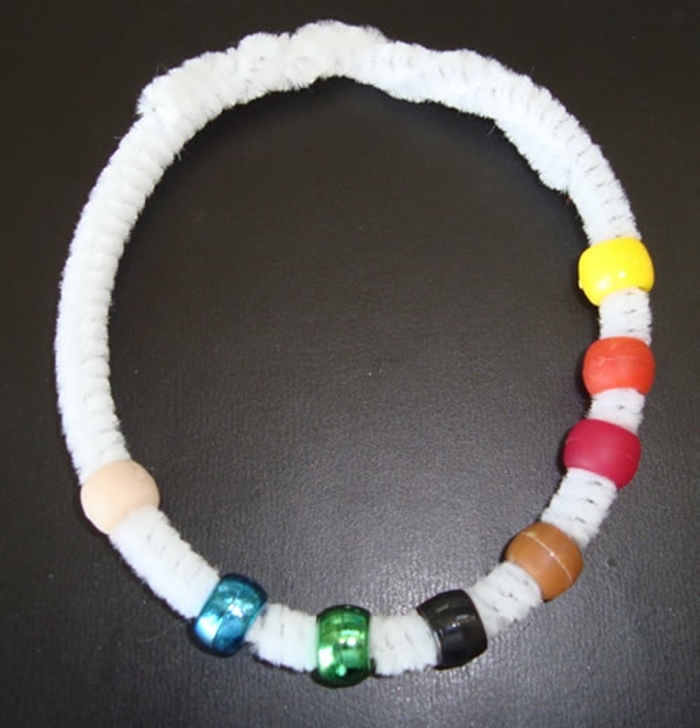 You’ll love that they are easy to pull together. 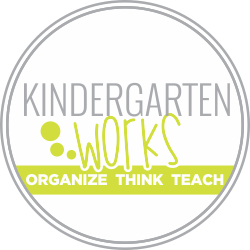 These are all free kindergarten Thanksgiving activities (or resources) I have found – so I hope they can be helpful as you make your November lesson plans. 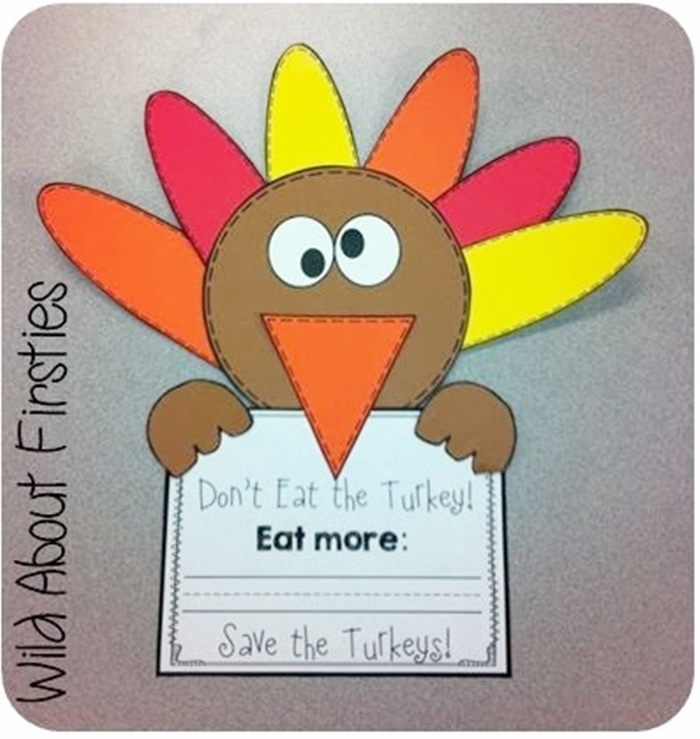 Get your kinders thinking outside the dinner box with this cute Thanksgiving craftivity to go along with (affiliate) The Thanksgiving Surprise read aloud. 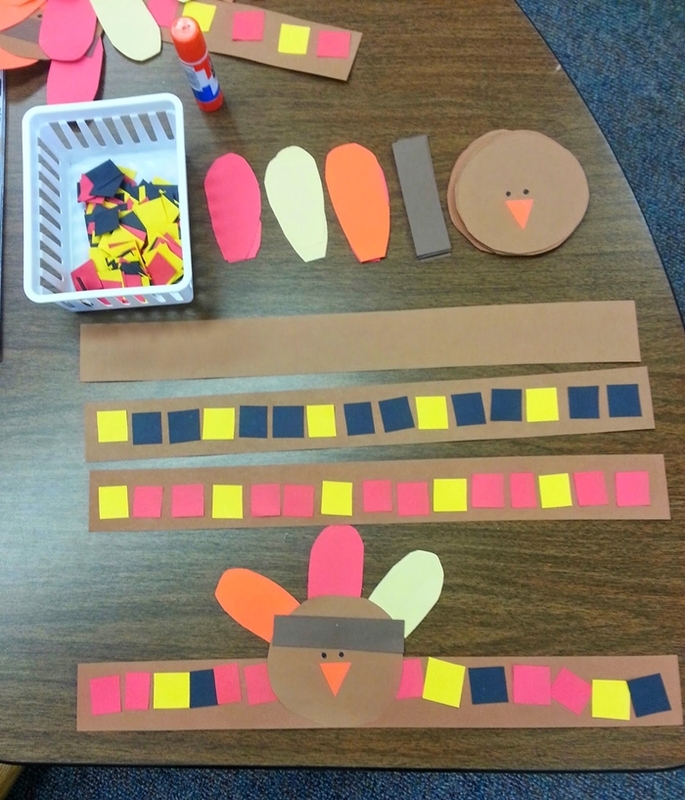 Use simple shapes to create Thanksgiving Turkey Headbands. Working on patterns? Make color patterns with squares of construction paper in tribal (fall colors) to make them fit right in with November festivities. 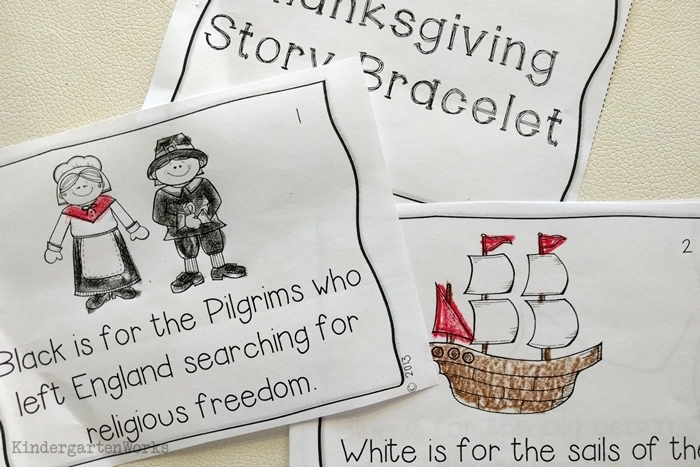 Be sure your kinders can tell the history of Thanksgiving with a simple Thanksgiving bracelet. 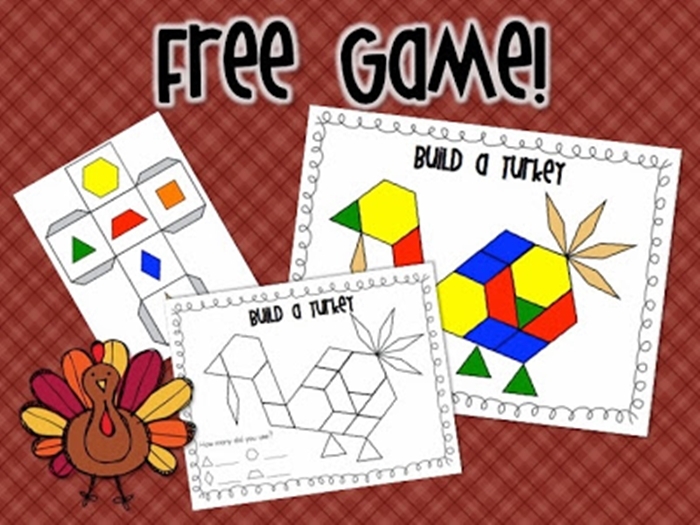 Read to find out what fall things the turkey likes to eat in this free pattern Turkey Likes to Eat emergent reader book. Take a fall leaf walk around your school yard. Collect some leaves and write about your observations as scientists! 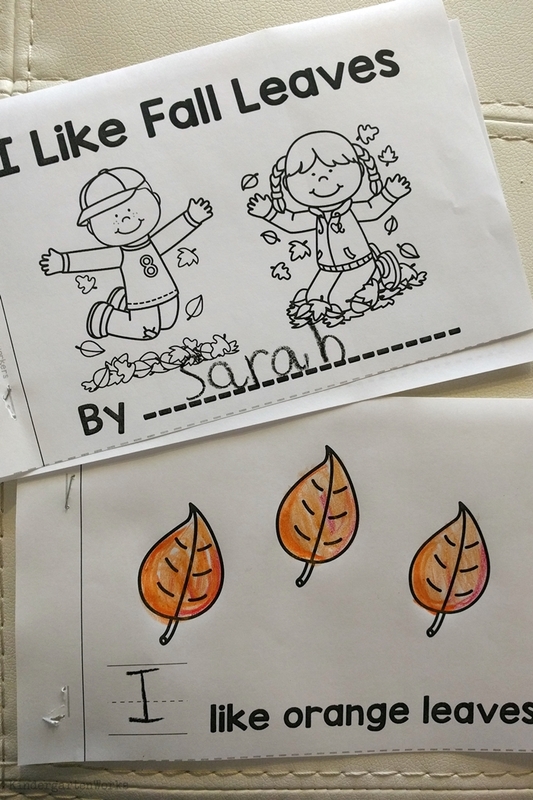 Finish off with this free printable fall leaf color book. Students write in the sight word “I” and then color the leaves to match the text. They could also glue in fall leaves they collected to match. Bank on the familiar tune to Five Little Pumpkins and teach this cute Five Little Turkeys emergent reader book. 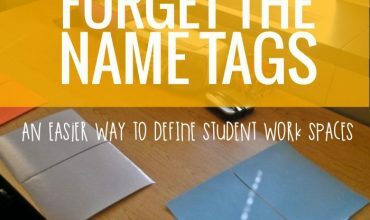 It is an easy way to work on counting 1:1 if that’s where you’re at… or hit subtraction. Read What Do We See in the Fall with this simple yet perfectly themed emergent reader book for kindergarten. 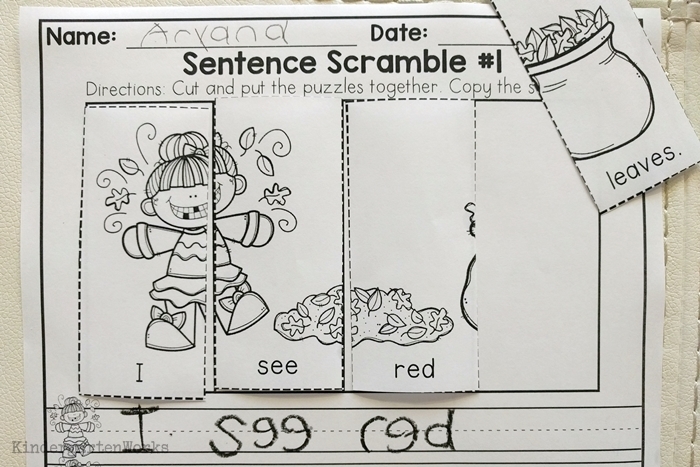 It’s a puzzle… it’s a cut n’ paste… no – it’s a sentence! 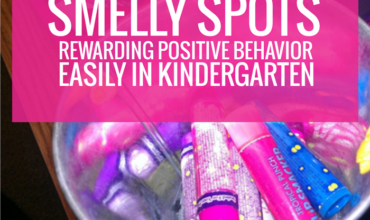 Take this multi step writing worksheet and get them putting the pieces together. Just because October is over doesn’t mean we have to put the pumpkins away! 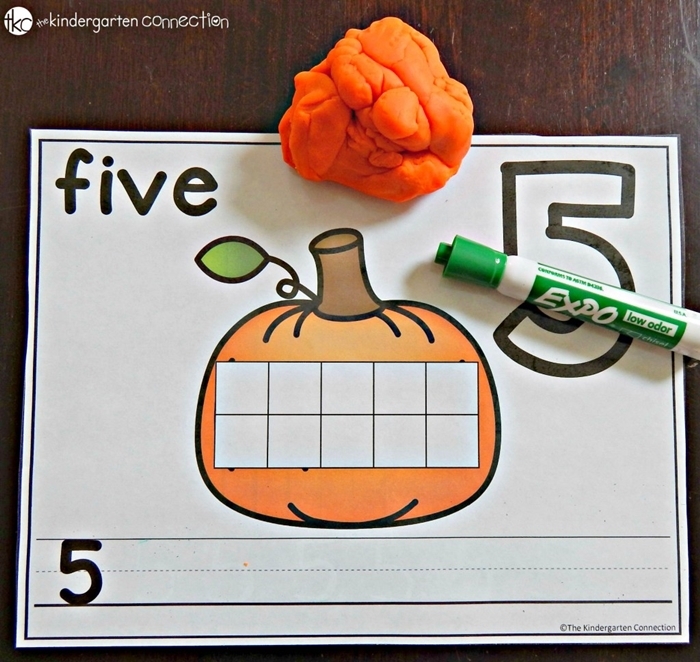 If your kinders still need number practice along with fine motor work these free pumpkin playdough number mats might just be perfect to print and laminate. 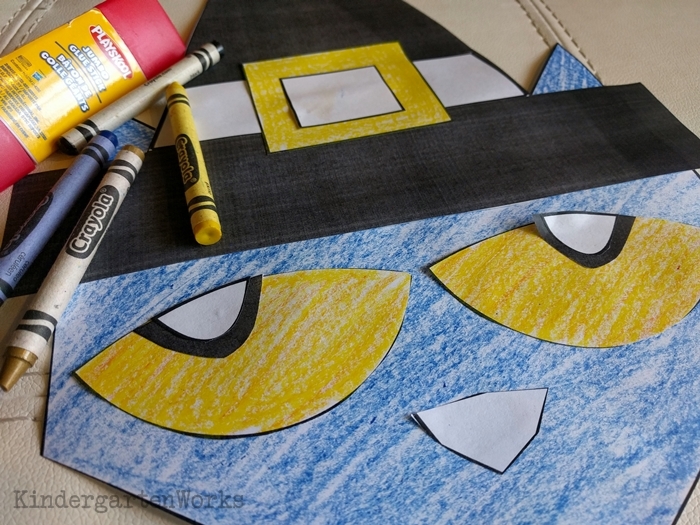 Create a craft of pilgrim Pete the Cat for Thanksgiving. Color the face a royal blue – or cover it with tissue paper/construction paper. Add the features and you’re good to go! These are affiliate links to books that make great Thanksgiving Read Alouds. 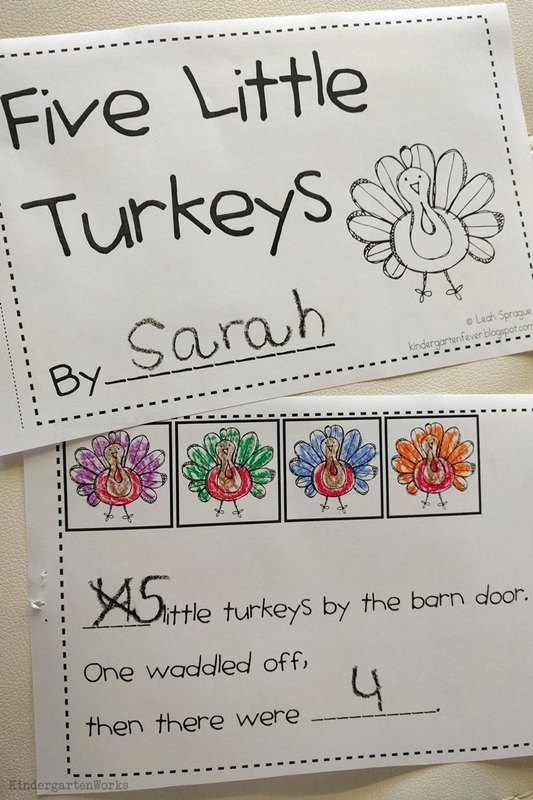 I hope these Thanksgiving activities for kindergarten set you up for easier lesson planning if you want to throw a few themed items into your November school days. Need more? 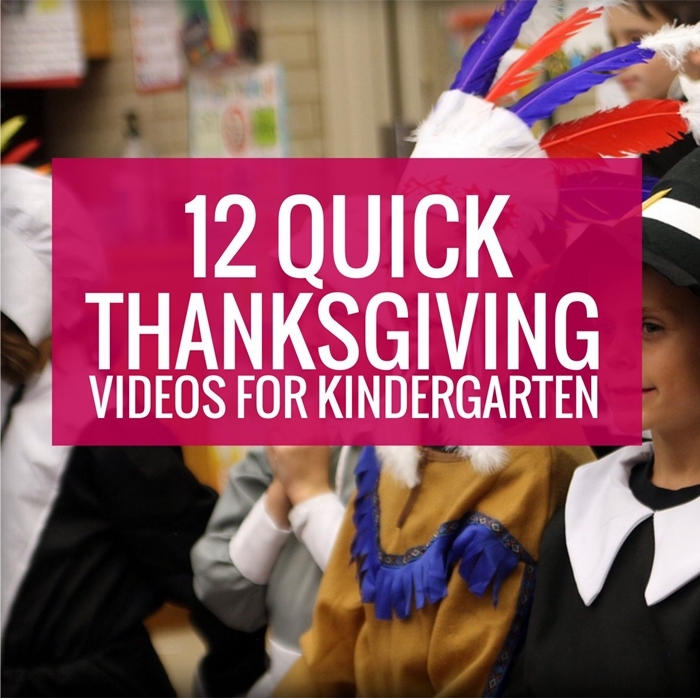 You might like these 12 Quick Thanksgiving Videos for Kindergarten.